* Sit Upons or 12" dia. 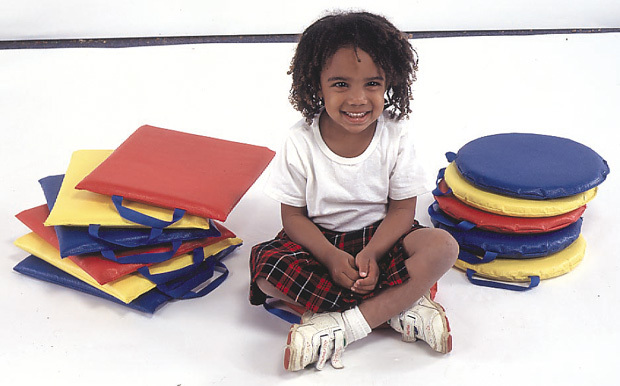 * Each set has 2 red,2 blue,and 2 yellow 1" thick soft foam cushions. * Each has a handle for carrying. * Dimensions: 12" x 12" x 1"
12.5" x 12" x 6.5"